Last year me and my team implemented small solution based on Sitecore 8.2.1. We had tremendous learning curve and gained lots of knowledge. Unfortunately there was no online training available for us at the time we have started so our knowledge was based on our own experience and help of some people from Sitecore. Documentation provided by Sitecore was not so deep-dive for this version. Sitecore Commerce 9 100:Overview has list price set to 750$ and approximate duration of this curriculum is 3 hours and 30 minutes. It took me a little bit longer as I was also trying lots of things by my own in my Commerce VM during taking this course. I would say that realistically this course should take you around 3 hours. This training is definitely worth taking for marketers and merchandisers new to Commerce 9 and of course developers and solution architects. 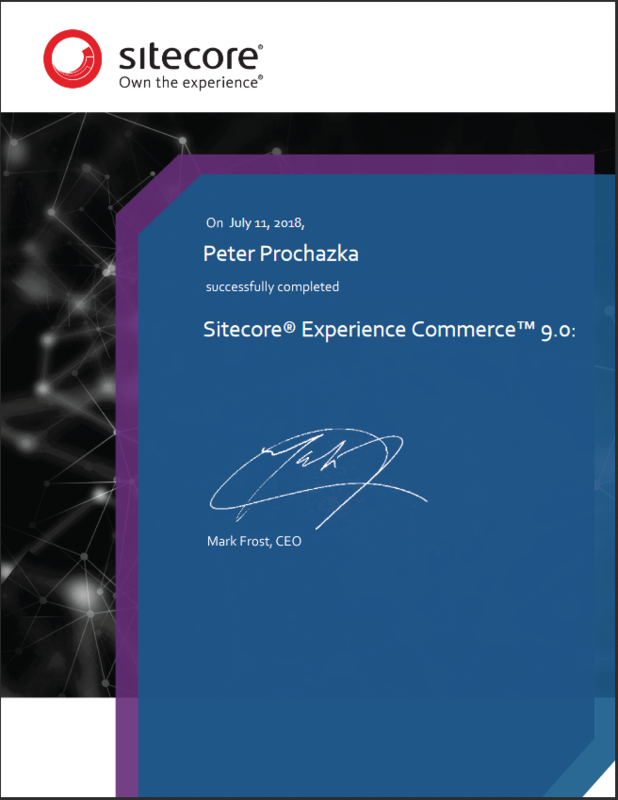 This course is great also for Sitecore Commerce 8.x developers to give an idea how things have changed and what to expect further down the implementation road. 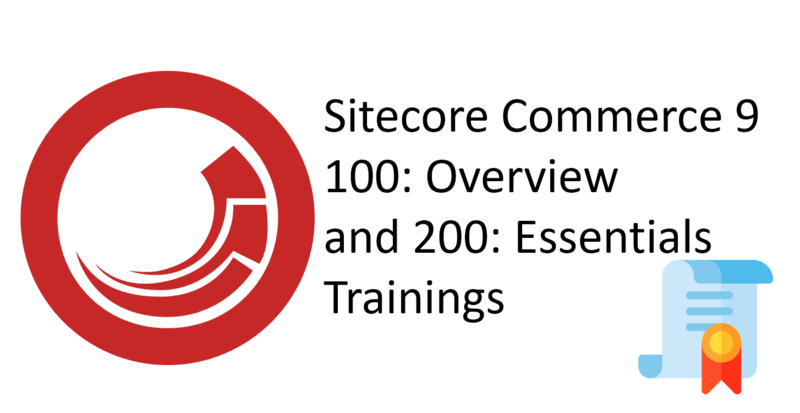 Each module has hands on exercises that will show you sample usage of this product and its Business Tools as addition to “regular” Sitecore Experience Management capabilities.. This training will give you basic overview of the Sitecore XC and high level idea of Business tools. Sitecore Commerce 9 200:Overview has list price set to 1500$ and approximate duration of this curriculum is 8 hours. You can make it in around 7 hours. It took me again a little bit more because I was also trying lots of things by my own in my Commerce VM during taking this course. This training is definitely worth for advanced ASP.NET MVC developers and solution architects. This is definitely in-depth training which expects from you to have some web development background. 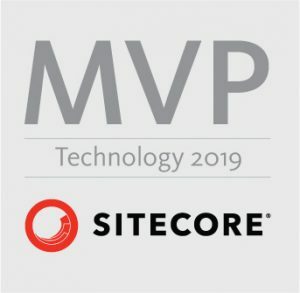 Great training for every developer migrating / upgrading from Sitecore Commerce 8.x and especially Sitecore Commerce 8.2.1. Lots of things will be familiar for these developers and couple of things will be finally consistent like Customer / User creation and so on. Both trainings have lot of “Get Hands-On” and “Apply it” exercises which is awesome. I always prefer learning things by doing them not only reading about them or watching some recordings. In “Get Hands-On” exercises you have step by step guide on what and how you should do. Here you will learn how to achieve certain scenarios. In “Apply it” you have only defined what you should do, not how. So they are a bit harder to finish. But they are pretty easy as you are basically doing same exercises as in “Get Hands-On” but with different products or you need to go slightly different path so mind the description what you need to achieve in “Apply it” exercises as you might get lost soon 🙂 And no worries, you can repeat exercises as many times as you need / want. If you think about it, instead of using try-failure method for couple of days/weeks, you can just take these trainings in 2-3 days (counted also some re-watching) and you are prepared creating your own plugins and enhancements for Sitecore XC on your own. You will also learn all best practices on how to structure solution, how to deploy it and so on. Time well spent (and also money 😉 on these trainings. Now I am really happy that I took these trainings and looking forward for Sitecore Commerce 9 implementation with all this knowledge. Take a look on my study guide for this certification that will guide you through the process of preparation for this exam. Thanks Peter for this wonderful explanation on eLearning. I am planing to purchase one and start hands-on it right away. Best of luck for the Certification!! What about the exam status?